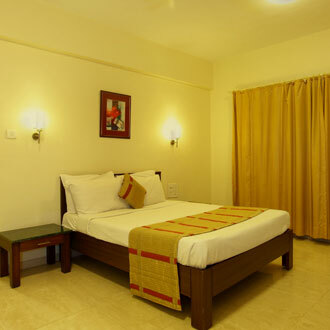 Located in the heart and surroundings of Shri Sai Baba Temple, this contemporary hotel is designed elegantly and keeping guest comfort in mind. Offering luxuries such a Jacuzzi and a swimming pool, Sun-n-Sand Serviced Apartments ensure the guest experience here is delightful. Guests can enjoy the delicious Italian cuisine served at Little Italy, an in-house restaurant or sip refreshing coolers or coffee at Checkers Coffee Shop in the property.